Do you recognize all experience as inherently unsatisfactory? How “ripe” are you for the process of Divine Self-Realization? How can you tell if you are truly ready or not? 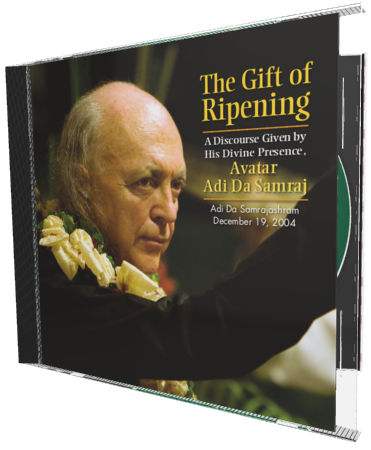 By listening to this Discourse, you will receive Avatar Adi Da’s Guidance in understanding your level of ripeness. And such a realistic (rather than idealistic) assessment is an essential element in preparing for the process of Realizing True Happiness He Offers—the process of the “transcending of all conditionality in the Self-Radiant Conscious Light that is the ‘Bright’”. Realization is not "caused". It is Given. It is made tacitly obvious. I can, through interaction with you and by being accessible to you, ripen you, so to speak, for this Spiritual Apprehension of Reality. And I am made available to you through this Bodily Sign which gives a focus for the faculties in the process of them being purified and relieved of their patterns. 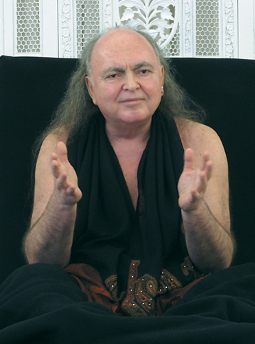 As is often the case, Avatar Adi Da covers many interrelated topics during a Discourse.